When you or a loved one is injured in an accident, no one hands you a pamphlet containing all of the information you need to understand your case. In this section we strive to answer the basic questions that everyone has in the time following a car accident, on-the-job injury, medical malpractice, abuse, or other accident. If you don't find the answers to all of your North Carolina injury questions here, we encourage you to contact our Raleigh injury lawyers for answers to questions specific to your case. The consultation is free and confidential. What are the Punishments for Nursing Home Abusers? In North Carolina, there are two types of nursing home violations: Type A and Type B. North Carolina inspectors are required to conduct inspections of nursing homes, and if a Type A violation is found, this means the unkept facility has caused death or serious injury to a resident. For this type of violation, a fine up to $20,000 can be imposed on the nursing home, as well as jail time or the revocation of license. According to Nursing Home Abuse Guide.org, a Type B violation occurs when the condition of a facility is causing harm to residents and is not corrected after inspection. Penalties for a Type B violation can result in a fine of $400 or more per day until the facility fixes the issue. Nursing homes do have the right to appeal their fines. If they wish to do so, they must go to a hearing or come to a settlement agreement outside of court with the state. Who is Typically the Abuser of Nursing Home Residents? Unfortunately, the answer is staff members. Often times, nursing home residents are abused by staff members, and if residents are not visited frequently, the abuse can go unnoticed. On the flip side, family members have also been known to abuse nursing home residents. The sad reality is nursing home residents are usually abused by the people they trust to provide care for them. If you believe you are witnessing nursing home abuse, please contact the authorities. What are the Most Common Types of Nursing Home Abuse? 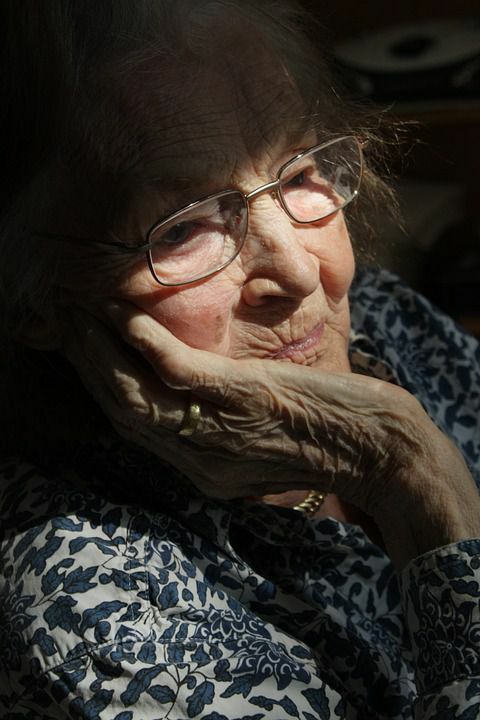 Neglect is the most common type of abuse nursing home residents receive. Considering, several nursing homes are understaffed and hire under qualified employees, this causes several patients to be neglected. Residents who are left alone for extended periods of time are more liable to obtain an injury by falling, or experience bed sores, dehydration, and malnutrition. Some residents experience physical or verbal abuse due to the improper training of staff members. This type of abuse could involve holding a resident down, hitting them, or verbally abusing them. Click here to know what signs to look for so you can protect a loved one receiving care. What are the rights a resident has in a nursing home? -Proper care and being informed of their medical condition as well as knowing the drugs they have been prescribed. A nursing home resident can also see their own physician. -They are not allowed to experience abuse and neglect. They must be monitored so they do not become dehydrated or malnourished. -Residents must be free from restraints unless they are medically required. -They cannot be discriminated against because of color or religion. If you believe you or a loved one have fallen victim to nursing home neglect or abuse, you may want to consider contacting an attorney. A lawyer can review your case to see if you are entitled to compensation. Brent Adams and Associates will help you if you believe you need to seek legal action. You can call our office at 877-273-6823 if you have questions or desire to schedule a free consultation. Our nursing home abuse attorneys maintain a digital library of nursing home neglect information. From legal protections for nursing home residents, to recording video evidence of abuse - you can learn a lot before you meet with a lawyer. What are the signs of nursing home neglect and abuse? Some signs are fairly obvious such as broken bones, unexplained injuries, malnutrition, an unsanitary living environment, or unexpected death. Signs of depression or sudden changes in behavior may not be as obvious, but these are still signs of neglect and abuse. If you believe there has been a medical form of neglect or abuse, contact a physician or emergency room. If you believe you have witnessed nursing home abuse that has resulted in criminal activity, you should contact the police. How is "exploration" defined in a nursing home setting? What happens after abuse is reported in a nursing home? If there has been a complaint of abuse, an investigation will occur with the family, nursing home staff members, and management. If a problem is found, the adult protective services will try to reconcile with the resident and their family and ensure the incident does not occur again. In some cases, a family will not feel properly compensated and seek help from an attorney. I need an attorney in Raleigh for a nursing home abuse case; how do I keep my parent safe during a claim? Many adult children have to manage the care of a senior parent and use a nursing home facility to meet their parent's day-to-day needs. About 40,000 people are residents in certified nursing homes across North Carolina, according to the Kaiser Family Foundation. If the nursing home has exhibited some form of abuse that manifested in an injured or ill resident, the resident's family might contact the nursing home management to address the negligence. Family members are often concerned about how their loved one's care will change if they pursue a claim of abuse. Will upset nursing home staff take their frustration out on the resident? Will other residents suffer? It may not be as simple as transferring a resident to another nursing home. Depending on the facility, some nursing homes have long waitlists. Family members might consider hiring an at-home caregiver for a short time until another facility is available. A family member might also volunteer to be a temporary caregiver themselves. If the senior has a condition that requires care in a special center, at-home options might not be options at all. Our nursing home abuse attorneys can help connect families with resources that will help place a nursing home resident in North Carolina. You and your family might feel violated and guilty about choosing the care facility that you did. Not only is your loved one suffering, but you are too. Our legal team understands this and how time is of the essence to find a safe care provider for your parent. We can help you understand how the negligent facility can be held accountable. Nursing home litigation in North Carolina courts, and any court, is not a quick process. Attorneys may be able to settle some cases without ever going to trial. No matter how a claim of abuse is handled, the well-being of the nursing home resident is paramount. If you or a family member are concerned about approaching nursing home administration with a claim of abuse while your loved one is in their care, contact our attorneys for a confidential consultation. We can help you understand your loved one's rights as a nursing home resident, alternative care options, and the different ways you can pursue an injury claim in North Carolina. Schedule a meeting with an attorney. What is Burt's Law and does it apply to my nursing home abuse case? Burt's Law is a piece of legislation in North Carolina that was signed into law on May 19, 2015 by Governor McCrory. It went into effect December 1, 2015. Burt's Law, also referred to as Senate Bill 445, imposes additional penalties on staff and volunteers of nursing homes and facilities that care for individuals with mental illness or other disabilities. Burt Powell was the victim of sexual abuse at a nursing home not far from Hickory, North Carolina in the town of Conover. Powell's abuse was inflicted on him by the nursing home manager. The nursing home manager exploited his authority over staff and threatened their jobs if they informed Powell's family of the abuse. At the same time, the manager threatened to hurt Powell's family if he revealed the abuse. The new law is named in Burt Powell's honor and was drafted in efforts to encourage staff and volunteers to come forward and report abuse immediately. Burt's law applies to staff and volunteers of group and nursing homes in North Carolina. These individuals are now required by law to report any instances of abuse, whether intentional or accidental, to authorities within 24 hours of witnessing abusive acts. Failing to report abuse in this time period results in a misdemeanor charge. Witness statements, facility documents, and other evidence might help prove if Burt's Law applies to your particular abuse case. Our nursing home abuse attorneys in Raleigh and Cary offer case reviews at no cost to you. Our legal team can explain more about this law and others that apply to the unique circumstances of your incident. All of our consults are confidential and provided wherever is most convenient for you. We can meet you in your home, a hospital, or at one of our five offices: Raleigh, Cary, Fayetteville, Dunn and Clinton.